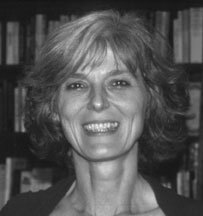 Martha Norkunas holds a Ph.D. in Folklore from Indiana University's Folklore Institute. She is the author of The Politics of Public Memory: Tourism, History and Ethnicity in Monterey, California (SUNY Press, 1993), which won the 1994 Historic Preservation Book, and Monuments and Memory: History and Representation in Lowell, Massachusetts (Smithsonian Institution Press, 2002/ Rowman and Littlefield Publishers, 2006) which was awarded Honorable Mention from the Women's Section of the American Folklore Society in 2003. She is the recipient of a postdoctoral fellowship from the American Council of Learned Societies, grants from the Theodore Edson Parker Foundation, The National Trust for Historic Preservation, the L.J. and Mary C. Skaggs Foundation, the Massachusetts Foundation for the Humanities, the National Endowment for the Humanities, the Woodrow Wilson Innovation Award from the Woodrow Wilson National Fellowship Foundation, the Summerlee Foundation and the Houston Endowment. From 1988-89 she was the Gardner scholar-in-residence for the Shifting Gears project in Massachusetts, documenting how the meaning of work changed from 1920-1980. For five years served as the Cultural Affairs Director at the Lowell Historic Preservation Commission where she oversaw a wide range of cultural initiatives to interpret labor and ethnicity in the industrial city. She has worked with museums, historic sites, and public humanities projects on issues of on memory, gender, and the representation of minority voices. She has also been involved in oral history projects on industrial and labor history, immigration, racial identity, and gender. She is on the faculty at the University of Texas at Austin, teaching interdisciplinary teams of graduate students to think critically about memory and history, and to apply their knowledge to social and cultural issues.